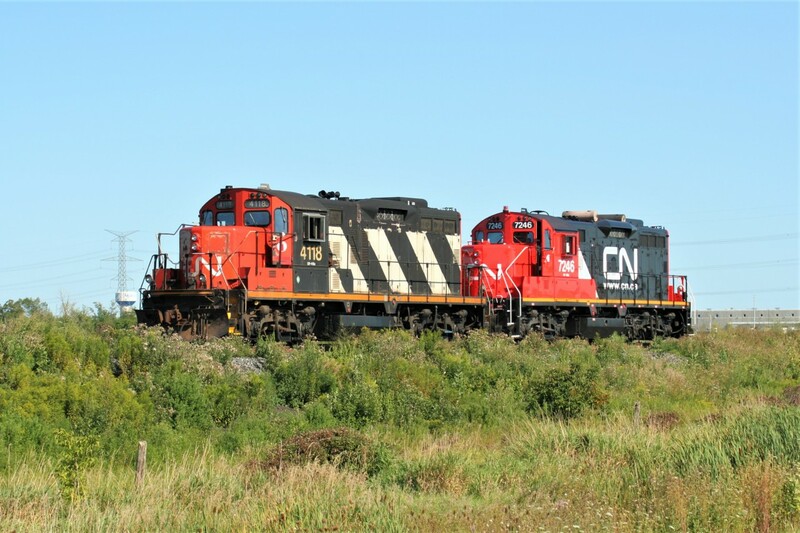 Railpictures.ca - Jason Noe Photo: CN GP9RM’s 7246 and 4118 roll westbound through Mansewood on the Halton Subdivision. At the time, 7246 was just freshly repainted and certainly looked good in the evening light. | Railpictures.ca – Canadian Railway Photography – photographie ferroviaire Canadienne. Caption: CN GP9RM's 7246 and 4118 roll westbound through Mansewood on the Halton Subdivision. At the time, 7246 was just freshly repainted and certainly looked good in the evening light.